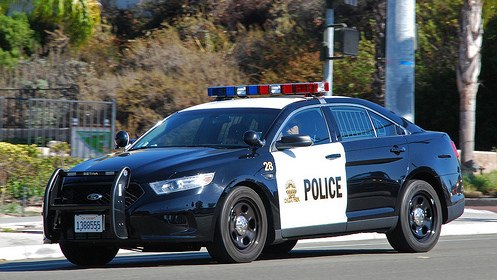 Local governments in the San Diego region spent $1.9 billion on law enforcement and related expenses in the most recent fiscal year, an increase of 5 percent, according to a study released Thursday by the San Diego Association of Governments. The SANDAG report attributes the hike to the county of San Diego receiving more state funding to carry out Gov. Jerry Brown’s public safety realignment plan. Among other things, the county is required under the realignment to house more convicted criminals locally. “Although public safety realignment has brought additional resources to San Diego County, local public safety agencies also have many more responsibilities under the law than previously,” said SANDAG Director of Criminal Justice Research Cynthia Burke. “With budgets remaining tight, it’s important that all of the agencies in the region continue to work together collaboratively to address the needs arising from the evolving criminal justice system,” she said. Burke said the increased expenses were also the result of higher personnel costs. Her study found that, overall, local spending on public safety — other than fire protection — consumed 33 percent of government general funds, on average. The totals ranged from 21 percent for the county of San Diego, which also spends a considerable portion of its budget on mandated health programs, to 22 percent for low-crime Coronado, 41 percent for El Cajon and 43 percent for Escondido. According to SANDAG, the county of San Diego received $50.7 million in state funding in the last fiscal year for the Probation and Sheriff’s departments, Public Defender and District Attorney to carry out realignment functions. The previous year, the county got $30 million. On average, there were 1.31 sworn officers per 1,000 residents in the region in the fiscal year that ended June 30, unchanged from the previous fiscal year, according to the report. The figure is well below the recent national rate of 2.4 officers per 1,000 people. Over the past year, sworn staffing increased less than 1 percent regionally, with five of the 11 agencies having no change, four having increases, and two with decreases. Per capita spending on law enforcement ranged from $168 per resident in Chula Vista to $405 in Coronado, according to SANDAG. The regional average was $288 per person.